Let’s see how big different things are. 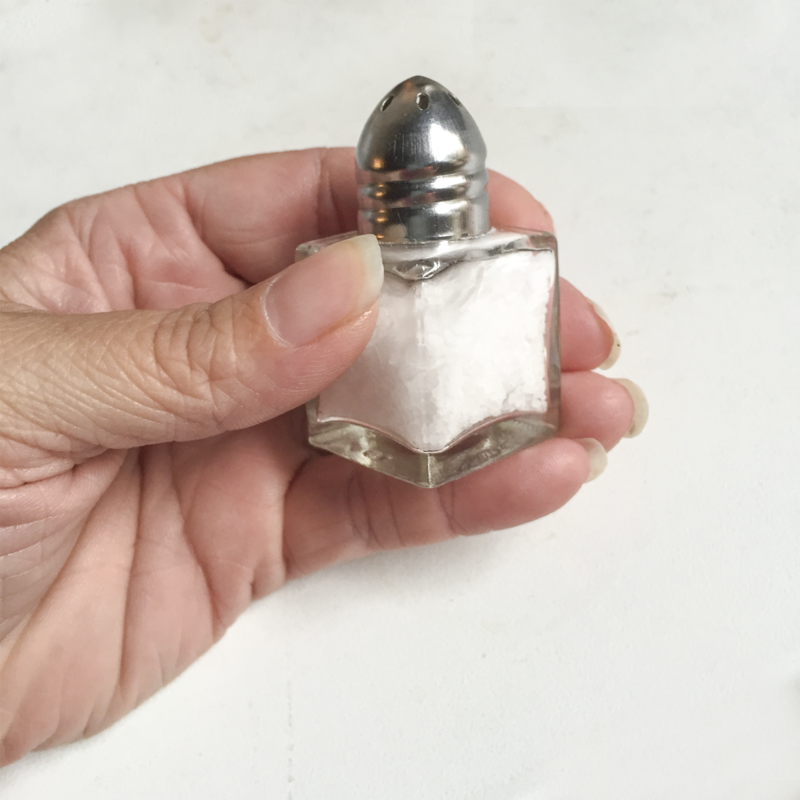 Estimate the volume of the tiny salt shaker. Your teacher will assign you one of the following lengths: 1 centimeter, 1 foot, 1 inch, 1 meter, or 1 yard. Estimate and cut a piece of string as close to your assigned length as you can without using a measurement tool. Your teacher will give you some cards with the names of different units of measurement and other cards with pictures of objects. Sort the units of measurement into groups based on the attribute they measure. Pause here so your teacher can review your groups. Match each picture card that has “L” in the top right corner with the closest unit to the length of the object. Match each picture card that has “V” in the top right corner with the closest unit to the volume of the object. Match each picture card that has “WM” in the top right corner with the closest unit to the weight or mass of the object. Your teacher will assign you a new group to discuss how you matched the objects. If you disagree, work to reach an agreement. We can use everyday objects to estimate standard units of measurement. 1 millimeter is about the thickness of a dime. 1 centimeter is about the width of a pinky finger. 1 inch is about the length from the tip of your thumb to the first knuckle. 1 foot is the length of a football. 1 yard is about the length of a baseball bat. 1 meter is about the length of a baseball bat and ball. 1 kilometer is about the distance someone walks in ten minutes. 1 mile is about the distance someone runs in ten minutes. 1 milliliter is about the volume of a raindrop. 1 cup is about the volume of a school milk carton. 1 quart is about the volume of a large sports drink bottle. 1 liter is about the volume of a reusable water bottle. 1 gallon is about the volume of a large milk jug. 1 gram is about the mass of a raisin. 1 ounce is about the weight of a slice of bread. 1 pound is about the weight of a loaf of bread. 1 kilogram is about the mass of a textbook. 1 ton is about the weight of a small car.